Trying to keep in touch with the latest news in medicine? Do you want to share your knowledge with your colleagues, but don’t feel like you have the proper environment? Then this is the right thing for you! 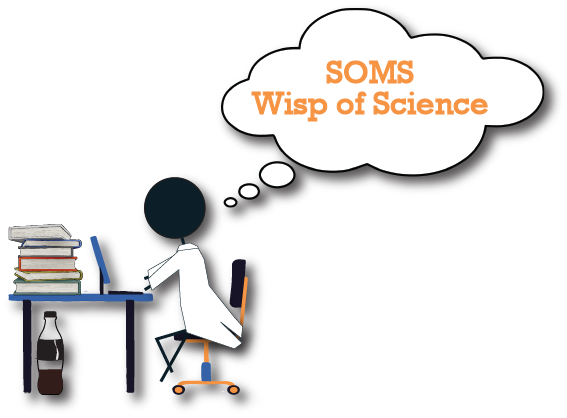 SOMS Wisp of Science is looking for a team of science enthusiasts that would help us bring science closer to the medical students. Our aim is to write on a regular basis summaries of recent articles relevant to the medical field. They will be further published on our website and Facebook page in order to share them with the rest of the world. Aside from bringing your own contribution to the medical education, you will also develop your critical thinking and your writing skills. Moreover, for every 4 articles published you will be rewarded with 20 SOMS membership points… and everyone loves bonus points. 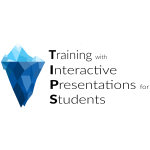 (to read more about SOMS Membership please access https://soms.ro/remain-full-member/). But first you need to show us what you’ve got! All you have to do is write a short summary (250-500 words) of an article that covers a recent advance in medical sciences (ranging from fundamental to clinical studies). You don’t think you are ready to write a summary? Don’t you worry, we’ve got you covered! Each summary will be reviewed by a specialist editor, who will give you feedback and constructive criticism to help you improve your work. For this call we are not looking for perfection, just for that spark of creativity and passion! Look for articles on websites rather than social media. Good resources are medicalnewstoday.com, sciencedaily.com, neurosciencenews.com, scientificamerican.com, the-scientist.com, nature.com, medscape.com, etc. Don’t believe everything you find on the internet! Make sure the article you found has valid references. Don’t go for something very specific. Try finding an article that covers a general topic. This way it will be easier both for you to write a summary, and for your readers to enjoy it. We’ve already found 2 articles for you, the link to them is in the google form. You can choose to summarize one of them, but we strongly encourage you to find one yourself! We are ready to be surprised! You should aim for no more than 500 words and no less than 250. Best to start with a summary standfirst: Normally a one sentence reason to read the summary. Often of the form “Ever wondered how neurons communicate to each other?” but be creative! Don’t use fancy words! The aim of your summary is to make the otherwise difficult to read article more accessible for the public. Simple is always better! Don’t overthink your sentences. If a phrase is longer than 2 lines, it needs to be trimmed. All you have to do is to fill in the Google Form below and send us your summary. The call will be open until 16th of December, 12pm, so there is plenty of time for you to write it. We will evaluate them and the best writers will be selected to join our SOMS Wisp of Science Team. We are not looking for perfection, just for that spark of creativity and passion!